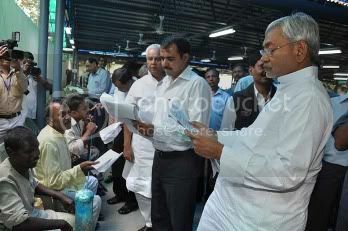 It’s nice to see Bihar is progressive state after long time under the leadership of Mr. Nitish Kumar. Thanks for their efforts. Firstly I want to say thanks to Nitish kumar becoz he realy worked good n we can see that work in various sector.i’ll pray he continue as a CM of Bihar.. This really makes me proud 2 have such a great cm. and thanxx 2 this website 4 publishing this. nice to see bihar progressing this way.Nitish Kumar has done a commendable job.